For those at the Brisbane International, the 2016 final was déjà vu - Roger Federer vs. Milos Raonic. Last year, the Swiss notched his 1000th match win in clinching the title over the Canadian. This time, the 25 year old would turn the tables, exacting revenge 6-4, 6-4 on Sunday. 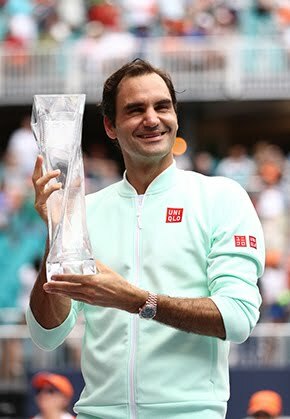 Federer admitted he was too inconsistent and could not find his rhythm, but acknowledged Raonic's improved tactics and consistency. For the Swiss, it was a completely different match-up from their 10 previous encounters. 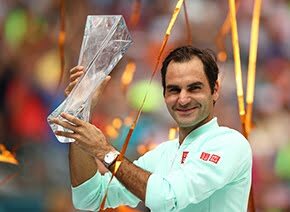 "His consistent power is something that's so impressive," said Federer. "The focus he brings to every single serve. I've always said it's amazing that he can do that. "For a big guy he moves well. He's improved his fitness the last few years. Also tactically he's better now than he's ever been. He's made a conscious effort of playing close to the baseline, which before when he was working with the Spanish coaches he was way back. "I think like this it's more on his racquet and it's probably not a bad thing. I thought he was playing really good tennis here last year and in also Indian Wells when I played him. I was quite impressed how good he was. Unfortunately he got injured and he had some issue which then didn't allow him to play anymore since. So it's a great start for him. I'm very happy for him." Never one to make excuses, Federer revealed he has been experiencing a lingering cough and sore throat over the past week. Despite the ailment, he says he is happy to reach the final and kick off the new season with new coach Ivan Ljubicic. "I'm very happy how the first week went. We just discussed quickly the week. We were both thrilled that I got to play as many matches as I did here this week, because we saw how bad I was doing on Tuesday. "I've still got a cough and the throat is a bit weird. Definitely got to make sure I get over it as quickly as possible. As long as I keep on playing and doing all that stuff it's not going to go away faster. So I am going to rest up tomorrow. I also have to see, but then probably hit the practice courts again. In practice you can manage how hard you're going to do it. Obviously health is No. 1 priority. "The good thing is the off-season was great. I have a base there, so I think within three to four days I should be back at 100 per cent, if things progress normally, which I think they are now." 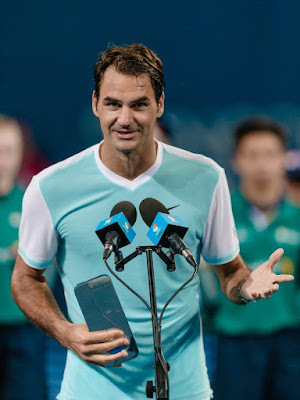 Federer, who appeared in a hard-court final for a record 17th consecutive year, will make a 17th straight appearance at the Australian Open next week. Seeded third, the Swiss is bidding for a fifth title at the first Grand Slam of the year.